Catch us celebrating SG52 with the community! Thank you, Tanjong Pagar – Tiong Bahru GROs for giving us the opportunity ! Preparing to raise our flag ! Receiving token of appreciation from Ms Indranee. 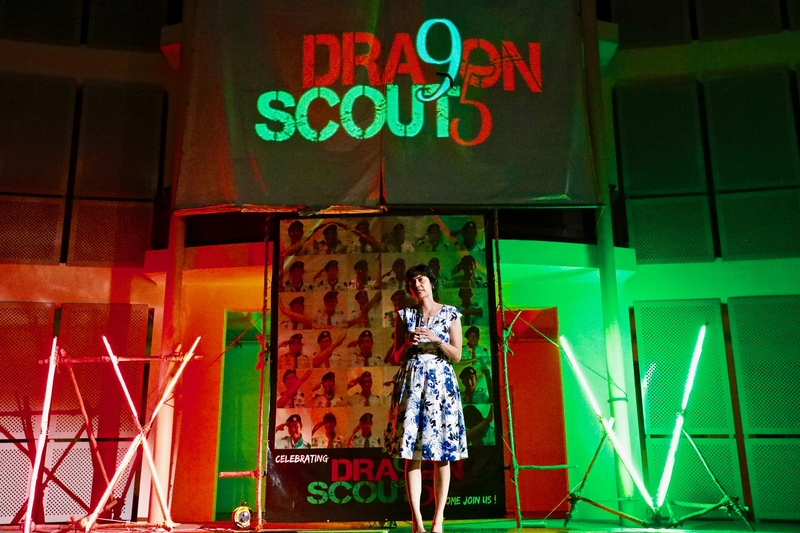 8 April marked a day when Dragon Scouts celebrated 95th Anniversary with a campfire. 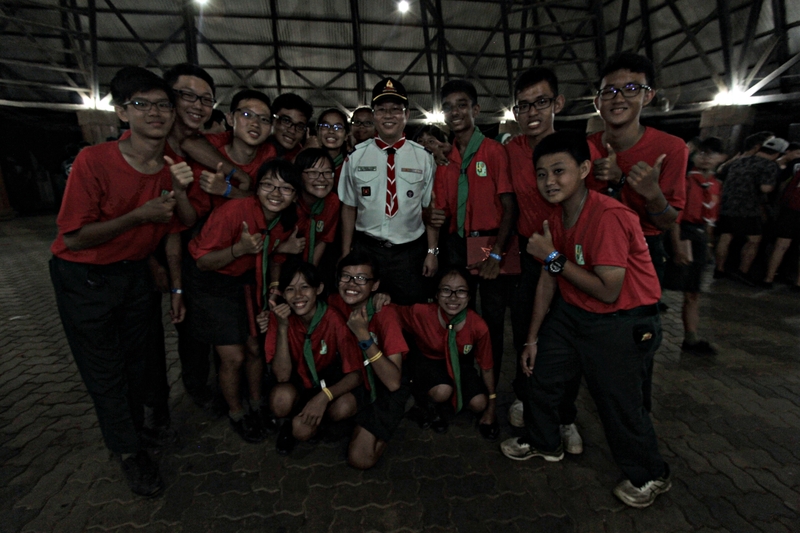 We were indeed honoured to have Ms Joan Pereira, MP for Tanjong Pagar GRC, to grace the campfire. In addition, we also took the opportunity to thank Mr Tan Cheng Kiong, our Chief Commissioner and a member of our Dragon Chapter for his past 8 years of service as Chief Commissioner. Catch the space below for the great memorable moments that all had. 6 Jan 2017 marks the CCA recruitment for all our year ones. Check out the exciting activities that Dragon Scouts offered and looking forward to receive our new Dragon Scouts as they join us for DSG 95!!! 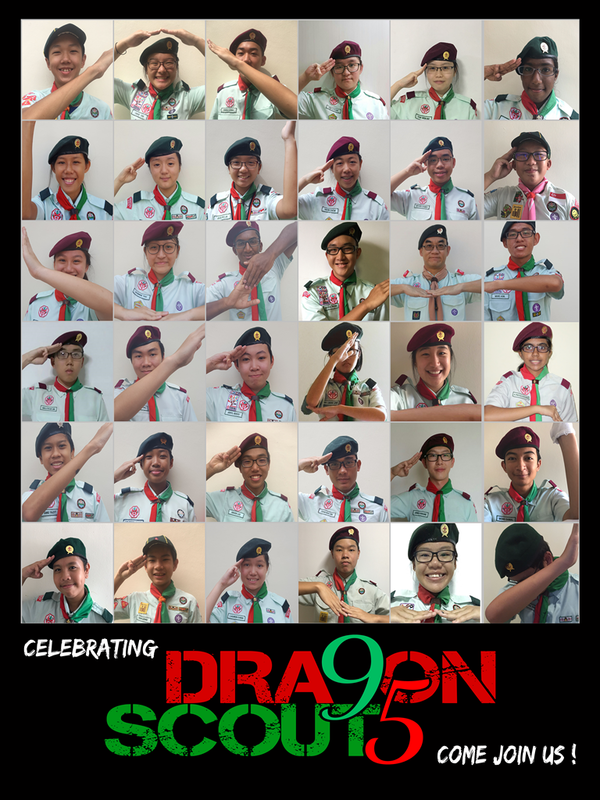 Happy 2017 as Dragon Scouts celebrate 95 !!!! Wishing each and everyone a Happy New Year and to all Dragon Scouts Happy DSG95 !!! Double Golds again in 9th National Patrol Camp !!! 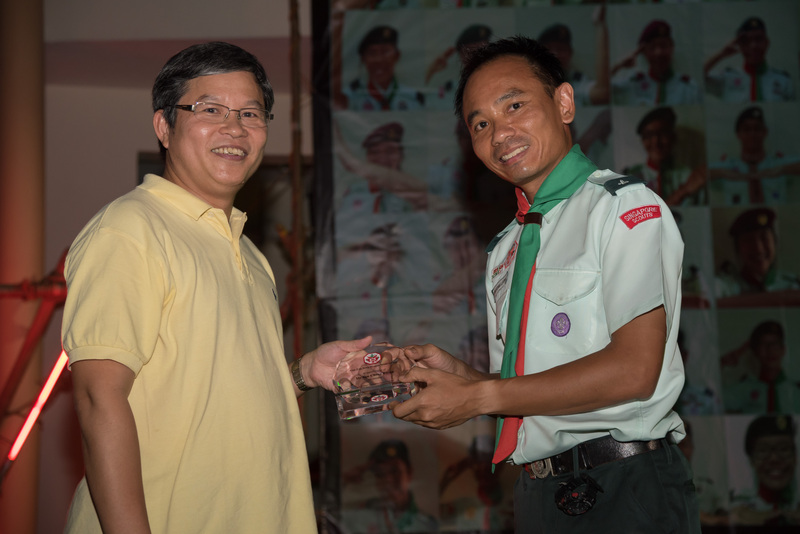 On 28 Nov 2016, Dragon Scouts was awarded double Golds in the 9th National Patrol Camp. Both our boys and girls team received the Gold award from our Camp Director. This is the third time our Dragon teams were awarded double Gold in National Patrol Camp since 2011. Congratulation and Onward, Dragons !!! Check out what’s happening in the NPC below ! Happy and certainly enjoying the moment !!! Dragon Boy Team with our commissioners ! Our Chief autographing on our banner ! It’s certainly tough NOT to leave a mark ! Happy and certain proud Dragon girls !!! , Ong Jia Xuan Kelly, Walwyn Lee Zhiyu, Avelyn Lai Shi Ying, Nicky Ho Kin Hou, Priscillia Lium Si Yao, Nusrat Sultana Binte Mohd Iqbal received the Gold award from Mr Chee Hong Tat, Minister of State, Ministry of Communications and Information & Ministry of Health. The event was held at *Scape, Ground Theatre. The group called themselves ‘The First Step’ and it aimed to promote cyber wellness and educate the public on what we can do to spread the word of cyber wellness so that people will be encouraged to be more kind online and take the first step to cyber wellness. Check out below on the day of ceremony! Congratulation, The First Step team ! On 20 Oct 2016, Dragon Scout was proud to welcome another National Youth Achievement Award Gold Awardee whom was none other than our Venture Scout Leader, Alexandra Lee. This will definitely not be possible without her perseverance and her strong desire to contribute back to the community. Congratulation once again, Alexandra !!! See the great celebration we had in GESS as we celebrate SG51 !!! In addition, congratulation to Deen Liong, Troop Leader 15/16 for awarded the Best UG Cadet for 2016 !!! Not to forget our great Rovers, Guan Ying, Amelia and Kenner for awarded the Distinguished Service Award !!! Well done, Deen !! Great job !!! 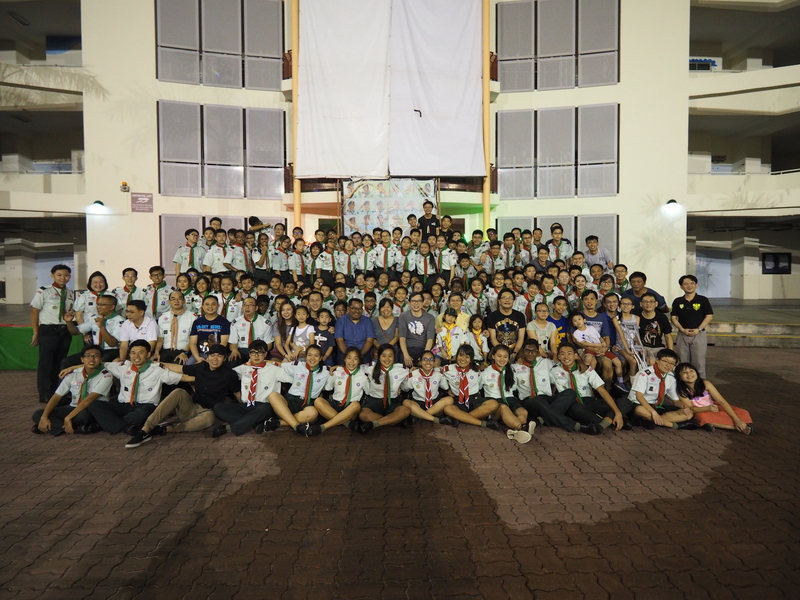 On 19 Feb, Dragon Scouts had a great Founder’s Day celebration by doing backswoodman cooking. Each patrol was to contribute few dishes for the celebration at the end of the scout meeting. Check out the great fun that our Dragons had to celebrate this great day !